The wide range of grape varieties used to make AVY wines gives the brand its strength. 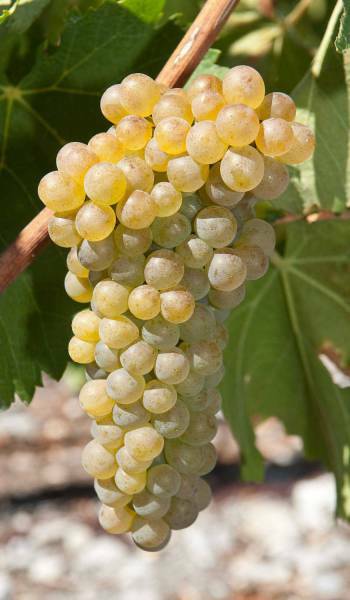 The origin of Chasselas has been a subject of much controversy, although it most probably originated in the Lake Geneva region. 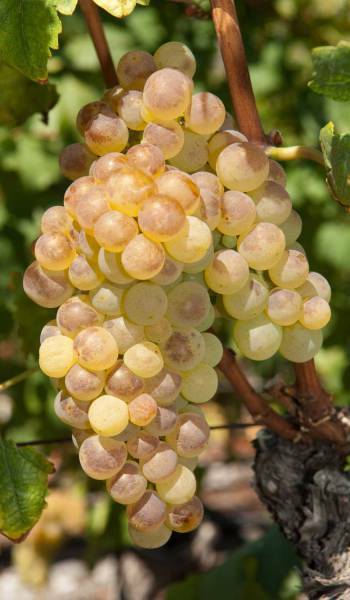 Chasselas ripens early and can be grown in a wide range of terroirs, but it is vulnerable to water stress and insufficient nitrogen. It is a discreet grape variety whose characteristics, such as its fruity, floral and mineral notes, derive largely from the terroir in which it has grown. 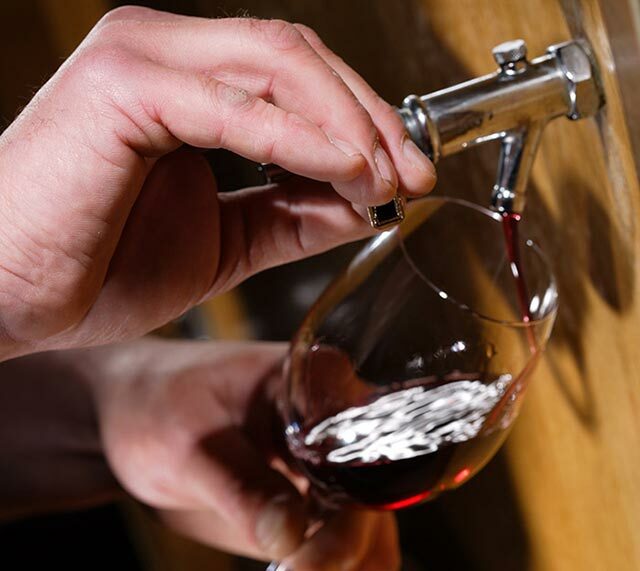 On the palate, the wine is generally soft and fruity while its structure varies, depending on the climate and soil in which it was grown. 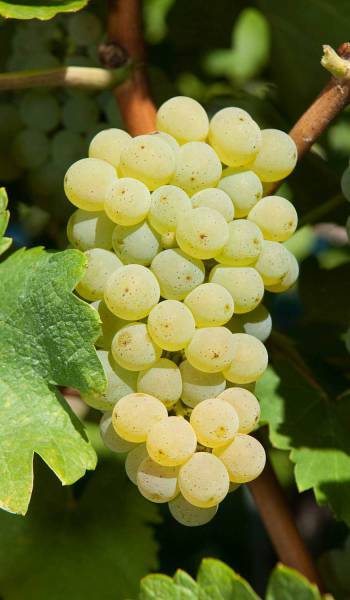 The Chardonnay grape originated in Bourgogne. Like Gamay, it is the result of a natural cross between the Pinot Noir and Gouais Blanc varieties. Chardonnay is a Period 1 variety, susceptible to grey mould and oidium. It is not advisable to grow it in overly fertile soils or in areas that are too hot and humid. A characteristic of this extremely versatile variety is to produce wines of great aromatic complexity which can include notes of citrus fruit, pineapple, banana and butter. These wines are subtle, generally rich and well-structured. Doral is a cross between Chasselas and Chardonnay, obtained at the Agroscope Changins-Wädenswil ACW Research Station, in 1965. It is an early variety and fairly susceptible to grey mould, and should therefore be grown in relatively infertile, well-drained soils. Aromatically complex, combining among others floral notes and notes of apricot and citrus fruit, Doral wines are generally full-bodied and relatively lively. The variety is also suitable for producing sparkling and sweet wines. 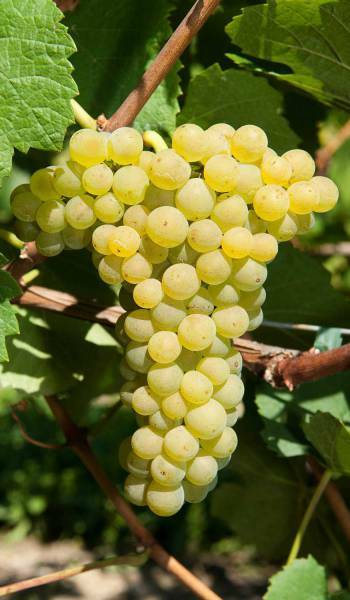 Pinot Blanc, a white mutation of Pinot Noir, probably originated in Bourgogne. An early Period I variety, it can be grown in relatively cool areas. 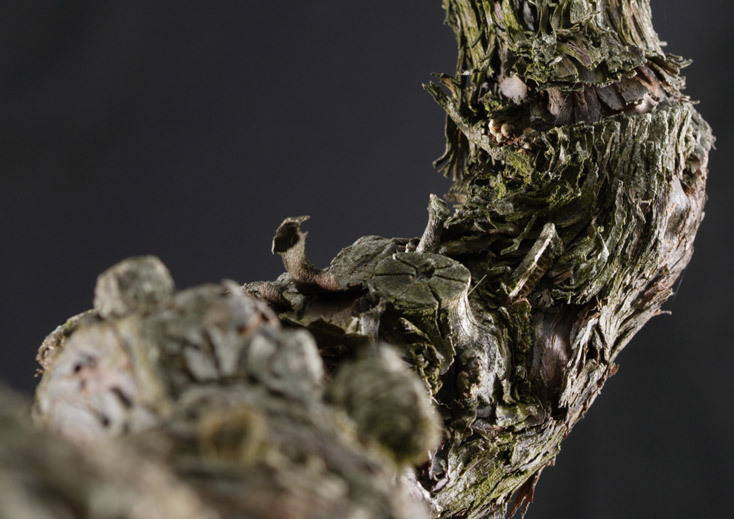 It is very susceptible to grey mould and needs well-ventilated terroirs with gravelly and moderately fertile soils. 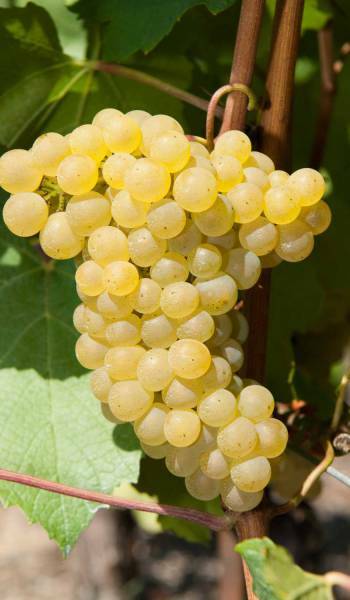 Pinot Blanc wines show finesse and discretion and are generally elegant, full-bodied and generous. These low aromatic wines can bring body and structure to blends. Sauvignon Blanc originated in France (south-west/centre). Ripening is variable, Period I or II depending on the terroir where it was grown. The Sauvignon Blanc needs to be grown in moderately fertile soil that is well-drained but with no water deficit. Sauvignon Blanc wines are complex and distinctive, typically with notes of blackcurrant, boxwood, exotic fruit, and white fruit. They are generally lively, with a hint of acidity, racy and well-structured. Viognier originated in the northern area of the Côtes-du-Rhône region. Viognier is a Period II variety and prefers fairly infertile, gravelly soils which generate a certain level of water stress. 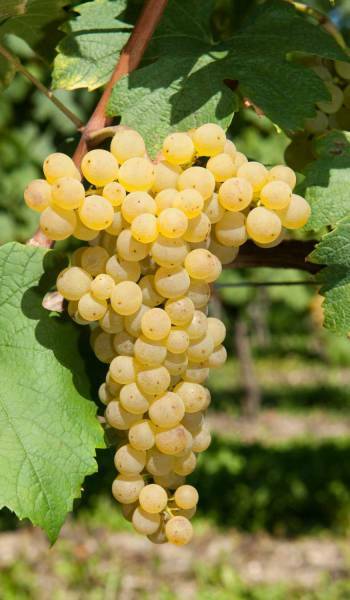 Viognier wines are expressive and distinctive, typically revealing notes of apricot, peach, and citrus fruit. They are generally powerful, supple, buttery and smooth. 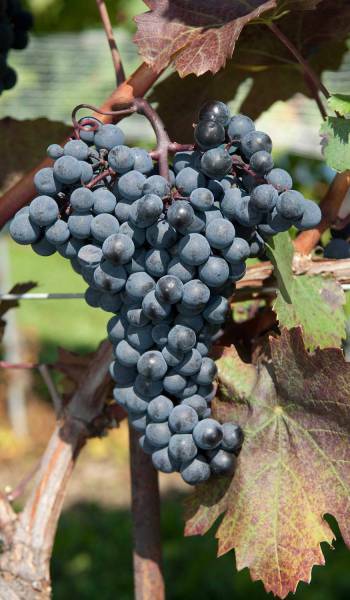 Cabernet Franc probably originated in south-west France. A late Period II variety, Cabernet Franc needs a hot climate and moderately fertile soils that generate a certain level of water stress. A grape variety with an expressive and very characteristic bouquet including notes of spices, raspberry, and violets, Cabernet Franc makes wines that have finesse, complexity and balance, with a moderately tannic structure. 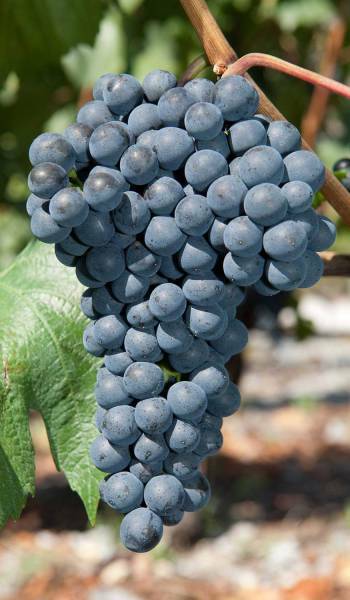 Dakapo is a cross between the Deckrot and Blue Portuguese grape varieties, created at the Geisenheim Research Institute, in 1972. An early Period I ripening variety, susceptible to grey mould, Dakapo likes moderately fertile soils situated in fairly cool and dry areas. Dakapo is deeply coloured, neutral and tannic, and lends itself well to blending. a grape variety grown mainly in Germany. 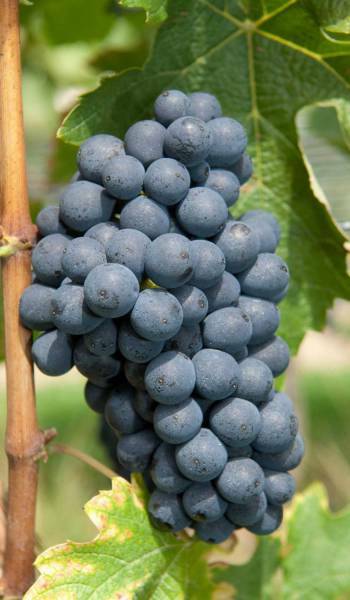 Diolinoir is a cross between the Robin Noir and Pinot Noir varieties, obtained at the Agroscope Changins-Wädenswil ACW Research Station, in 1970. It is a late Period I variety that likes fairly infertile soils that are dry and well-drained. A discreet variety with a fine bouquet of black fruit, Diolinoir generally produces a powerful, rich and full-bodied wine with a lot of colour which lends itself well to blending. It is also, however, capable of providing beautiful wines on its own. a grape variety grown exclusively in Switzerland. Galotta is a cross between the Ancelotta and Gamay varieties, created at the Agroscope Changins-Waedenswil ACW Research Station, in 1981. A late Period I variety, Galotta needs moderately fertile soils situated in temperate areas. A discreet variety with a fine bouquet of red and black fruit, Galotta makes wines that are generally sturdy and powerful, with a rich phenol aroma. Like Diolinoir, it lends itself particularly well to blending but can also yield beautiful wines on its own. 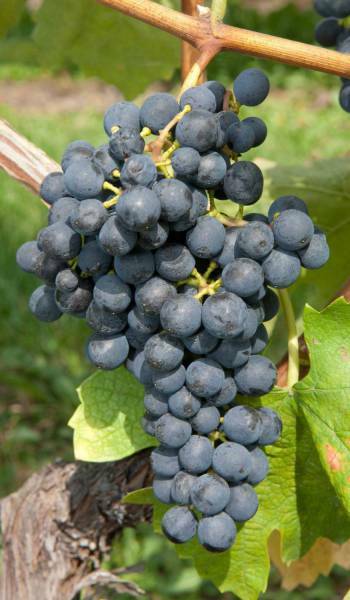 Gamaret is a cross between the Gamay and Reichensteiner varieties, obtained at the Agroscope Changins-Waedenswil ACW Research Station, in 1970. A Period I variety which can also benefit from late harvesting, Gamaret is suited to a wide range of terroirs, although dry, early-harvest regions should be avoided. Gamaret wines have a complex bouquet with aromas of spice and fruit. 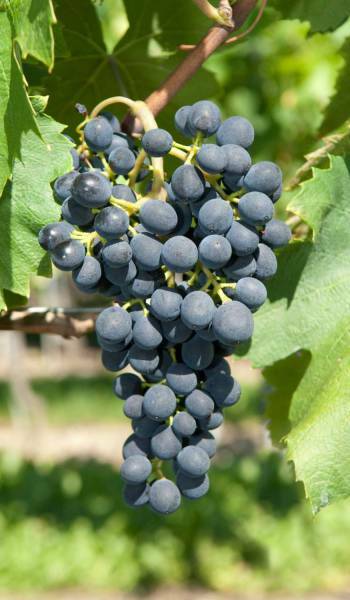 They generally have a deep colour, and rich tannins that give them a powerful structure. They can be used in blending, but can also be aged in barrels to produce excellent wines that are ideal for laying down. a grape variety grown mainly in Switzerland, and recently also in the Beaujolais region. Gamay originated in France. Like Chardonnay, it results from the crossbreeding of Pinot Noir and Gouais Blanc. A late Period I variety, Gamay fares best in a very temperate environment and particularly well-drained and moderately fertile soils. This grape variety has a fruity bouquet with notes of blackcurrant, raspberry and banana, and sometimes a spicy flavour. It makes soft wines that are fresh and fruity. The structure of the wine varies, depending on the place where it was grown, the climate and the yield. 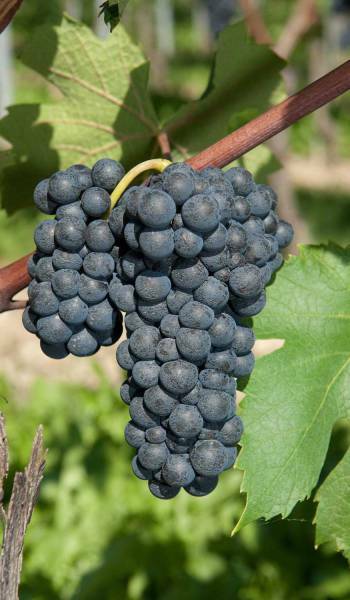 Garanoir is a cross between the Gamay and Reichensteiner varieties, obtained at the Agroscope Changins-Waedenswil ACW Research Station, in 1970. An early variety, Garanoir prefers terroirs in the cool areas of the vineyard. It is not very vigorous and therefore needs soils that are fairly fertile and not too gravelly. Garanoir wines have a spicy bouquet and are deep-coloured, soft and fruity. 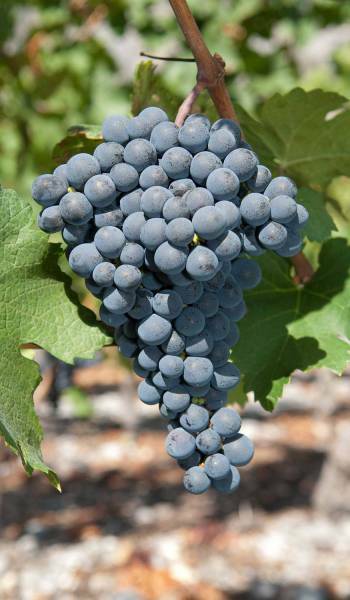 Their structure makes them equally well-suited for single-varietals or blends. 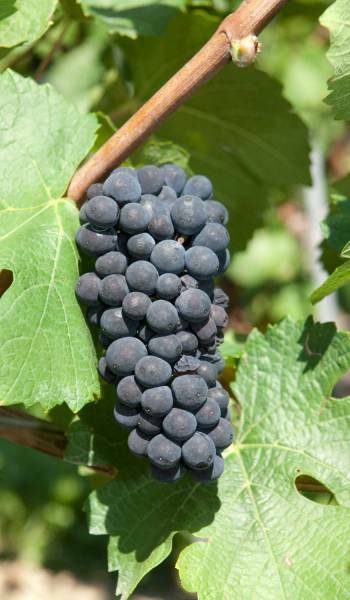 The Mara variety is a cross between the Gamay and Reichensteiner grapes, obtained at the Agroscope Changins-Waedenswil ACW Research Station in 1970, and registered in 2009. It is an early variety and can be grown in a relatively wide range of terroirs although particularly hot and dry areas should be avoided. With its complex bouquet and notes of black fruit and spices, Mara makes deep-coloured, strong and full-bodied wines. Pinot Noir appears to have originated in north-east France. 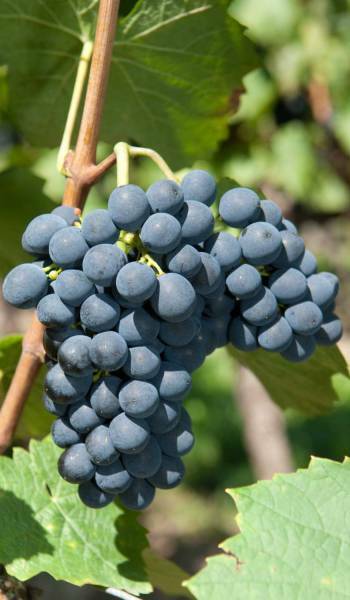 A very early variety, Pinot Noir likes gravelly and fairly infertile soils situated in warm areas with a fair degree of humidity. Pinot Noir wine has a fine and complex bouquet which reveals, among others, notes of kirsch, morello cherries and blackberries. 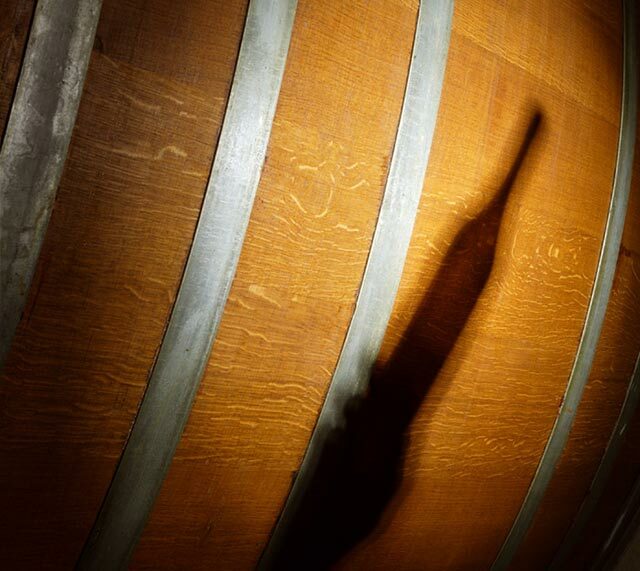 The volume, power and structure of the wine vary depending on the place where it was grown, the climate and the yield.